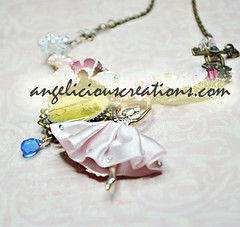 Angelicious Creations, where art takes its angelic form. 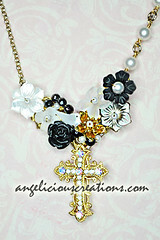 Email to angelicious.creationz@gmail.com to enquire or order. 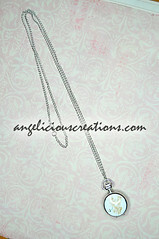 Angelicious Creations is the place where magic comes alive, where all things dreamt of are made real- from clay lentils to wired art, from pendants to suncatchers; all started as dreams within the mind of the designer, only to be put into reality with her crafty hands and creative mind, using only the finest materials available: 14k gold-plated/14/24k gold-filled parts, rhodium/925 silver parts, gemstones, and carefully selected charms of all styles scouted from all around the world. 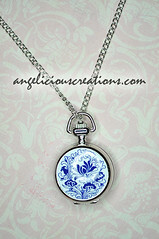 What defines the pieces of pure art are the delicately handmade pieces ranging from clay lentils/pillows, pendants and wire-working that give character and life to each and every single precisely-made piece. Signature pieces include the suncatcher, and the many-ways-to-wear necklaces that have many a time been a hot favourite for anything from a night’s out to a formal dinner. 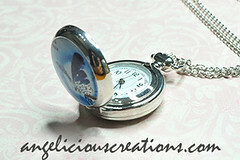 Here at Angelicious Creations®, we hope to make your dreams come true. 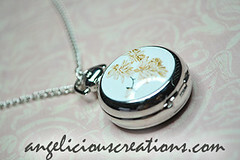 All information and images contained in this blog are the property of Jacqueline Koh. 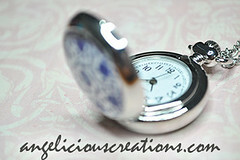 Permission should be obtained from the owner of the site prior to any prohibited reproduction, copying in part or whole, adaptation or likewise. 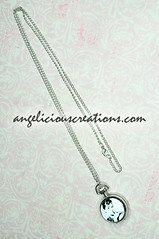 Angelicious Creations, 2006. 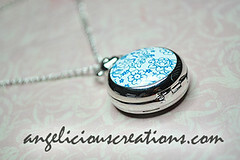 Prices of items are fixed with no additional charges for postage. Local Registered postage is FREE. Approx. 28 inch all round. Approx. 23 inch all round. 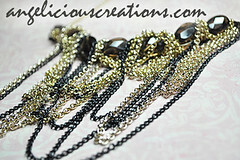 Made from black rhodium chains and 14k Gold chains with smoky topaz crystals. 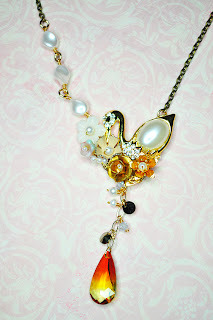 A piece for those who love swans and floral charms! 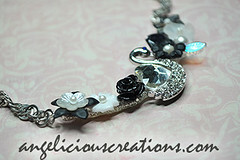 Ballerina Necklace consists of Swarovski pearls, blings, crystallized swan charm from KOREA, flowers, small black / white flowers and rhodium chains. Approx. 16 inch all round. 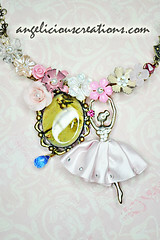 Ballerina Necklace consists of Swarovski pearls, blings, crystallized ballerina charms from KOREA, flowers, small faceted blue teardrop and antiqued chains. 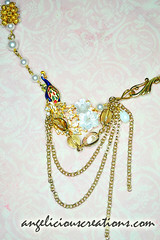 My Lord Necklace consists of Swarovski pearls, blings, crystallised cross charm from KOREA, flowers, pearlised shell carved flowers and 14k gold chains. 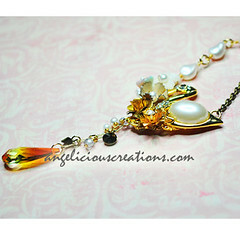 Peacock Feathers Necklace consists of Swarovski pearls, blings, vintage peacock charm from KOREA, flowers, smokey quartz and 14k gold chains. 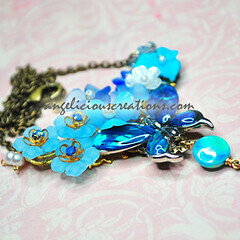 A piece for those who love Swan charms! 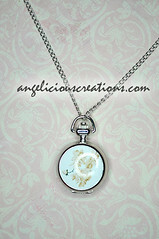 =) This piece is made from an imported vintage swan. 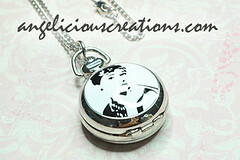 I have a brand new collection up my sleeve and I hope it would be well-received. 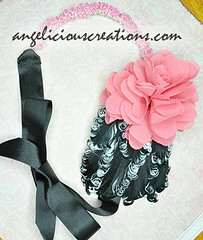 I would be uploading on http://angelicious-creations.blogspot.com for 2 weeks before my www.angeliciouscreations.com is up. 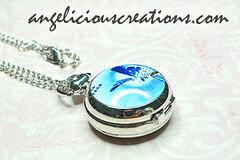 Also REGISTERED POSTAGE is of course FREE at http://angelicious-creations.blogspot.com . Have a WONDERFUL 2011 and here's to a brand new start!!! I've been busy designing for ISETAN SCOTTS for this past month therefore the lack of updates. Please go to ISETAN SCOTTS LEVEL ONE for my latest collection. A little sneak peek of our Christmas Sale products at Tangs VIVOCITY!!!! We love Christmas, I'm sure you do too! We couldn't resist all the temptations and to fulfill all of YOUR DESIRES, provide gift exchange solutions and birthday surprises, ANGELICIOUS CREATIONS is having a 50% OFF ALL PRODUCTS AT TANGS VIVOCITY. ONLY TILL THE 22nd DEC 2009. 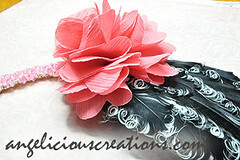 300 products is prepared for this sale. 100 pieces are RELEASED TODAY!!!!! During the discount, all items are not exchangeable nor refundable. 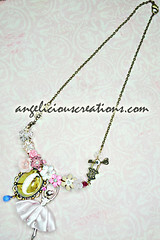 If you would like to purchase an item, E-mail to angelicious.creationz@gmail.com in the format shown below. 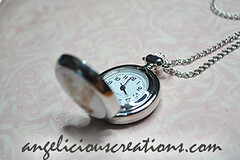 After your order, we will reply you within 24hours. 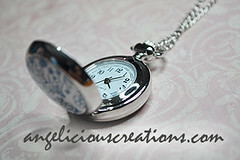 Please make the payment within 2 days after receiving the email if not your orders would be cancelled. Payment is only through Bank Transfers. - All prices are INCLUSIVE of LOCAL REGISTERED postage.OVERSEAS POSTAGE : THE BUYER HAS TO BEAR THE OVERSEAS REGISTERED POSTAGE CHARGES. 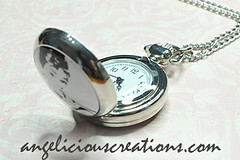 - Not responsible on any lost item during mailing and for any damages caused during postage. 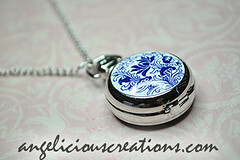 - All prices are stated in Singapore Dollars. For overseas buyers, I accept paypal. Jacqueline has always had a creative streak; from drawings to paintings and now jewellery design, always demanding from herself perfection in every field of art. Yet perhaps the most intriguing fact: she is self-taught in all her artistic ventures, arguably the most successful being her line of jewellery designs, where she had taught herself from scratch. 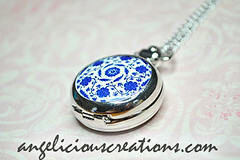 From clay-making to wire-working- you name it, she’s done it, all by herself! 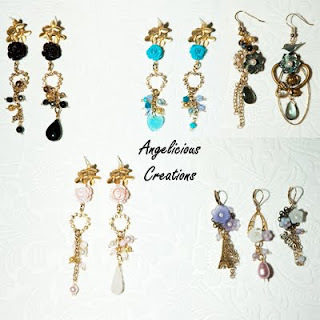 Starting jewellery design as a form of recovery from terrible abuse in the past, Jacqueline has since realized that dreams can come true; she makes them come true every day in Angelicious Creations. Her daydreams of magical creatures and mystical places were irrepressible, and goddesses, fairies and nature spirits started showing up in her artwork from a very early stage of her creations. She has always had a great love and appreciation of the magic of nature, and frequently gets lost in mythology and fairytales which all inspire her greatly. 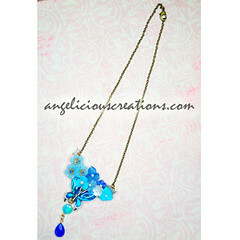 Soon, devoted, loyal supporters now turned friends had come forward and come to love Jacqueline and Angelicious Creations for the dreams and desires they stood for. Why are your prices slightly higher than the “3 for $10” type? 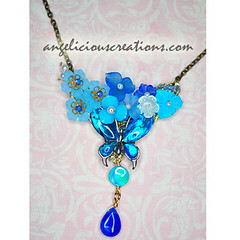 I use rhodium chains and ear hooks which do not tarnish easily. 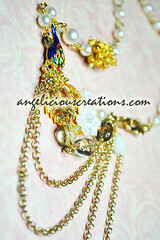 I also use 14K gold eye pins, head pins, chains, ear hooks and even 24K gold ends. 14K gold items used are all coated with 14k gold. 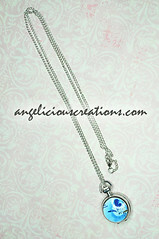 Rhodium is the highest quality of silver available. I previously used “gold-plated” materials which mean that the base metals are black and upon perspiration, the chains and/or links tarnish, becoming black. If you have sensitive skin, rashes would develop. 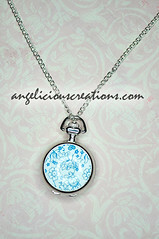 I import materials from USA, Korea, Japan, and a large assortment of various unique charms from all around the world. Why are there no remakes available at times? Finally, I personally may not wish to remake items, because I would like to ensure exclusiveness and uniqueness for the buyer of each and every person. We heard that you were very upset about copycats? Yes, I was upset but I am fine. Nothing and no one can affect my mood unless I allow them to. Good friends and family have said show to them that I can do better, and I will. 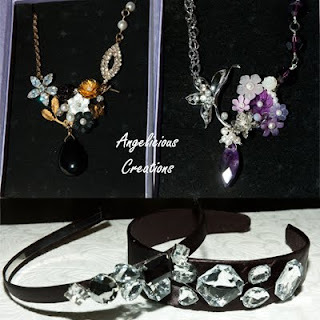 If you do like the style and design of my items and want to try making them yourself, please drop me an email seeking my permission at angelicious.creationz@gmail.com. I would be glad to tell you to go ahead. BUT please seek my permission first because I really do not want to be copied behind my back. If you let me know that you are going to do so, I would be happy to wish you all the best in your ventures! Yes. After the terrible abuse, my left eye is not very good. I get regular bad migraines where I was hit on my head. I am glad that all of you are very supportive of me and in the same way I would like to reach out to the poor and needy. Please contact me if you are organising any charity.